Every other Monday I take my four-year-old to our local library. We are always searching for something new and more importantly, something funny! 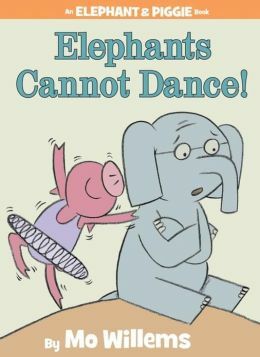 While searching for readers for my six-year-old, we stumbled upon the Elephant and Piggie books by Mo Willems. Frankly, we can’t get enough! They are humorous, easy to read, and the illustrations are worth a thousand words! My younger son is memorizing them and able to read them back to me with expression and comprehension. I highly recommend this series. Elephants Cannot Dance, I Love My New Toy, and Should I Share my Ice Cream? are a few of our favorites. The characters relate well and the books always end with a valuable lesson learned. And who doesn’t love a friendship between an elephant and a pig? ?